Loudoun County elementary school students getting ready to plant trees for a wildlife corridor. The wildlife corridor taking root, 2019. 3rd-graders exploring during the Rust Watershed Adventures program. A view of the larger pond at Rust Nature Sanctuary. 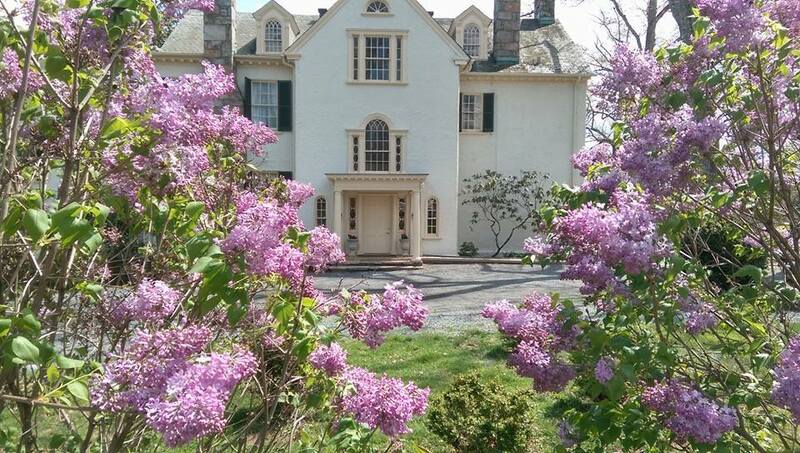 Rust Manor House hosts weddings, retreats and other special events. When she decided to place her home and its 63 acres of forest and meadow under easement with the Virginia Outdoors Foundation in 1994, Margaret Rust was beginning to feel surrounded. 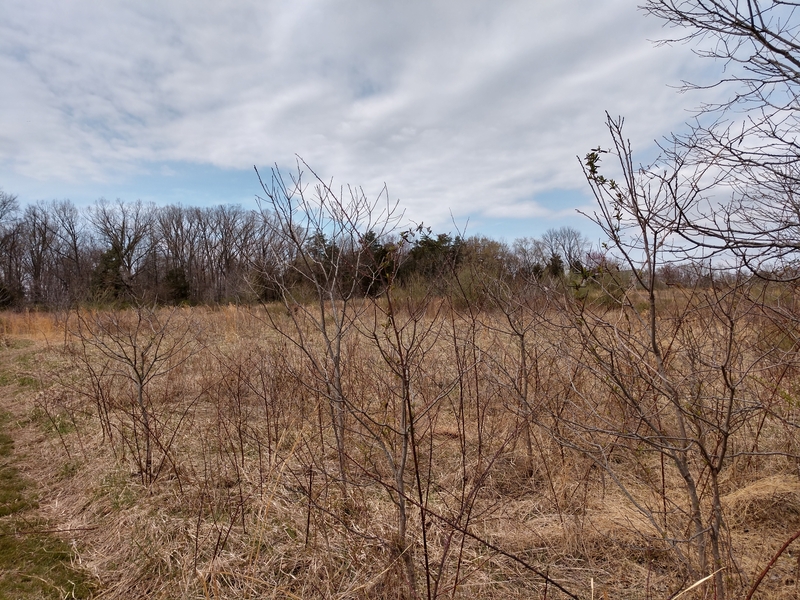 The town of Leesburg had recently built houses near her property line to the east, and a 600-lot residential development was slated to break ground to the west. 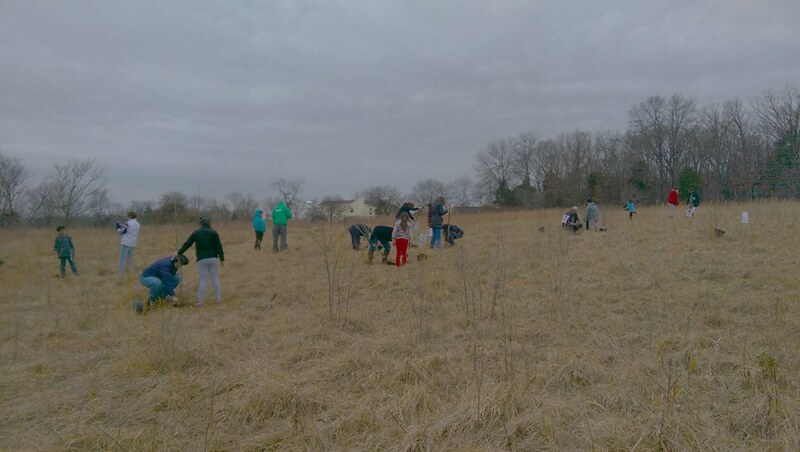 That future is now, and Rust’s foresight spearheaded a partnership between VOF, the Audubon Naturalist Society, and NOVA Parks that safeguards natural space in an area that has seen record residential development for the past 50 years. The partnership began not long after Rust’s death, when her heirs donated the VOF-protected property to the Audubon Naturalist Society (ANS). ANS’s mission is to inspire residents of the greater Washington, DC, region to appreciate, understand, and protect their natural environment. ANS expanded this mission at Rust in 2008, when the organization bought an adjacent 5 acres with wetland to the west of the property, helping to preserve breeding grounds for the rare Jefferson salamander. 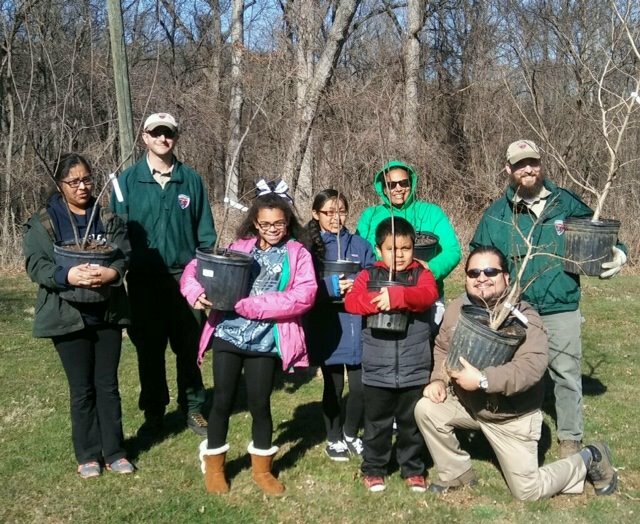 The new land required additional stewardship resources, and in 2013, the Northern Virginia Regional Park Authority (NOVA Parks) came on board to manage the grounds. 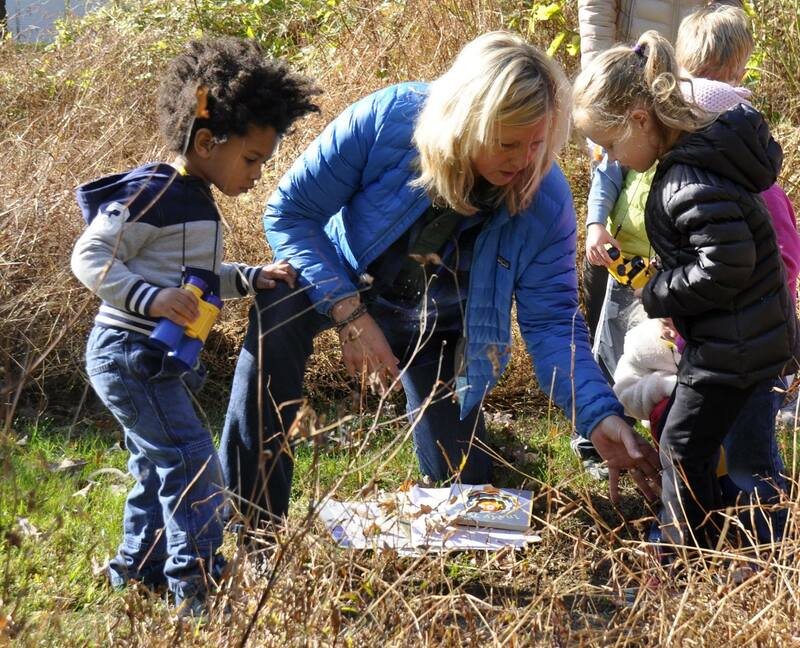 Working with Loudoun County Public Schools, ANS runs the Rust Watershed Adventures program, which trains elementary teachers to lead their classes through hands-on learning activities on the Rust property. 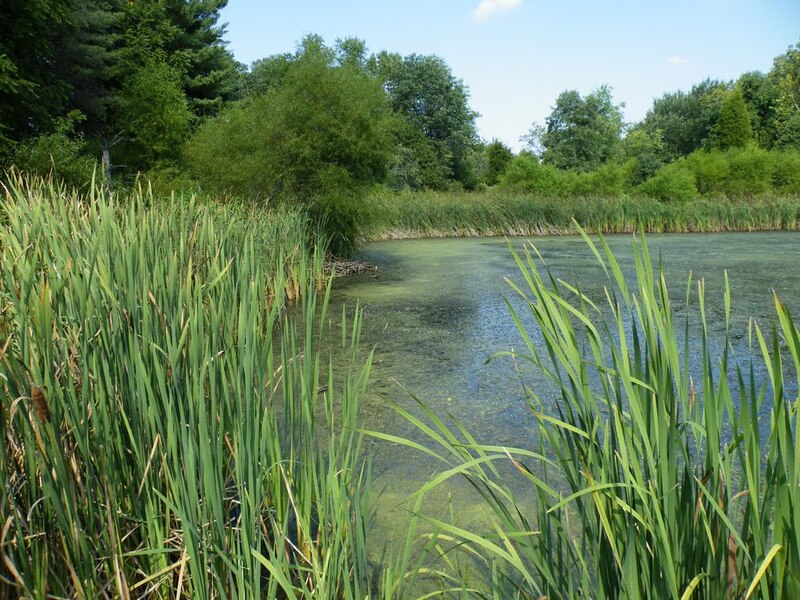 The children visit Rust Nature Sanctuary on field trips where they learn to monitor water quality and identify the small aquatic insects that depend on the watershed. More than 1,600 Loudoun County students visited Rust in 2018 alone. With the help of ANS staff and local stormwater engineers, the students and teachers take what they learn back to their communities and implement projects around their own schools to improve water quality. Preschool children and their parents can take advantage of the resources ANS provides at Rust, as well. The Fresh Air Kids program is designed for children 5 or younger and includes nature-based crafts and a hike on the property. For area hikers of all ages, 2.5 miles of trails on the property lead through diverse habitats: pine and hardwood forests, a pond, and a 15-acre meadow with persimmon trees. “You’re just 200 feet from the town limits, but you feel like you’re out in the country,” McCray says. Interpretive signs along the way educate visitors about wildlife and forest succession. The trails are open daily to the public from dawn-to-dusk. For information, go to https://www.novaparks.com/parks/rust-sanctuary/things-to-do. Rust Manor House hosts weddings, receptions, parties, and meetings. For information, go to rustmanor.com. For information about Rust Watershed Adventures, email Susanne.Ortmann@ANShome.org. For more information and dates for ANS’s Fresh Air Kids class, go to https://anshome.org/parents/.